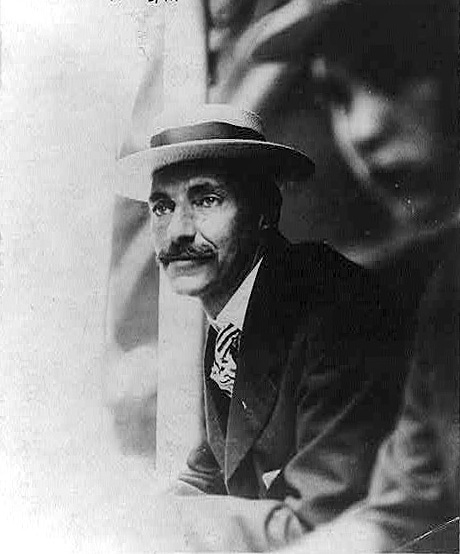 John Jacob Astor IV was 47 years old when he and his second wife were returning to the U.S. on the Titanic. He was the wealthiest person aboard the ship (and one of the wealthiest in the world). Image online, courtesy Bain Collection at the Library of Congress. Many members of New York’s elite society were on board for the historic sailing. Although J. P. Morgan himself could not make the trip, many of his friends did. John Jacob Astor IV (age 46), great grandson of the famous fur trader, was the richest man on board. He was also the most controversial since his young wife Madeline (age 18) was expecting a baby. Some folks thought the pregnancy came a little soon after the Astors’ marriage. Molly Brown (later coined the "unsinkable") was not the only colorful personality on board. Isador and Ida Straus, owners of Macy’s Department Store, had been married many years and were devoted to each other. Later, after catastrophe descended on the ship, all three would demonstrate amazing calm and fortitude. So would Archibald Gracie, Ben Guggenheim and Lawrence Beesley, a second-class passenger. called unsinkable was flying in the face of God. Some of the passengers were emigrating to America. (The complete, handwritten list of all passengers is now freely available on-line.) Frederick (age 40) and Augusta (43) Goodwin were traveling third-class with their six children (ages 19 months -16). They planned to set up a new home in Niagara Falls, New York. Accommodations for third-class (also called steerage) passengers, like the Goodwins, were functionally basic. On the other hand, compared to the price of a first-class ticket, their passage was relatively cheap. Many of these passengers, and their fellows, never made it to their final destinations. The general room for steerage passengers could have been the place where people, unable to get to the upper decks, breathed their last. Bos, Carole "THE PASSENGERS" AwesomeStories.com. Mar 01, 2004. Apr 23, 2019. Are Premonitions Real or Merely Coincidental?